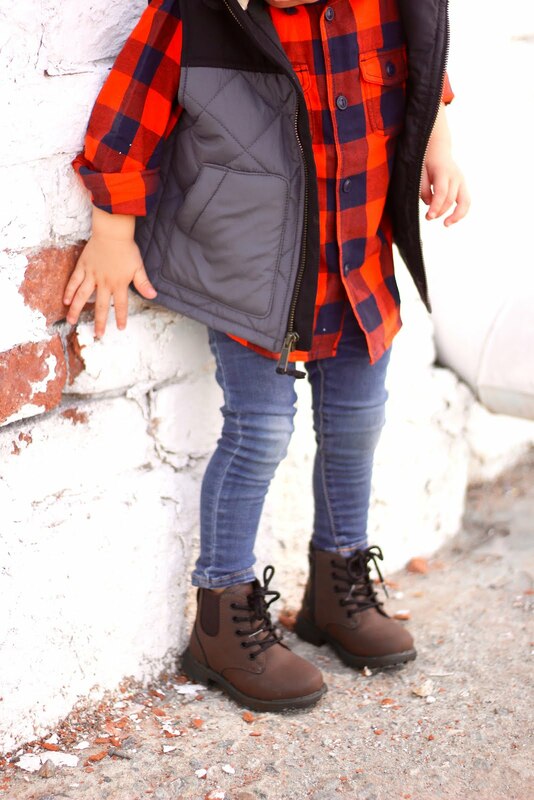 Today I am so excited to be teaming up with Boomdash to bring to you a Fall look with my little boyfriend! Boomdash is a one-stop shopping and parenting destination for the modern mom and dad to browse their favorite brands and discover new ones, receive customized style recommendations, and complete purchases across multiple stores in one shopping cart. 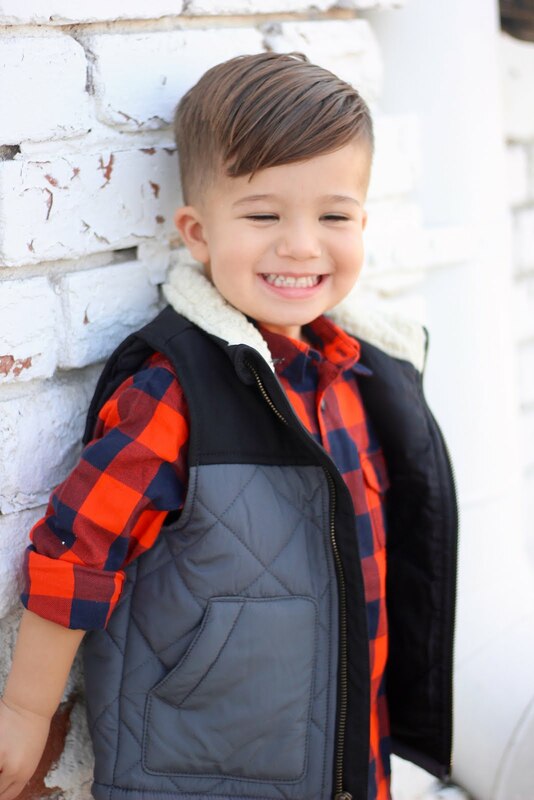 It’s a personalized shopping experience that makes their lives easier and allows them to spend more time enjoying the best parts of parenting. 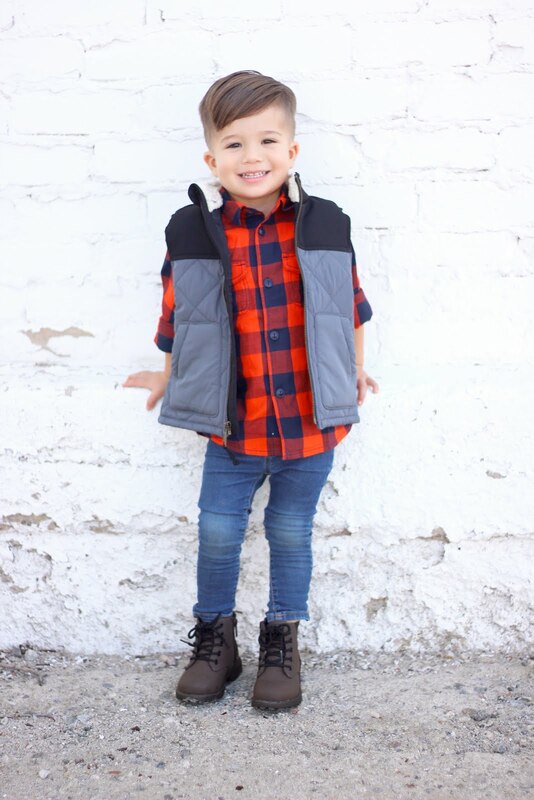 Fall fashion is my absolute favorite, especially for boys. 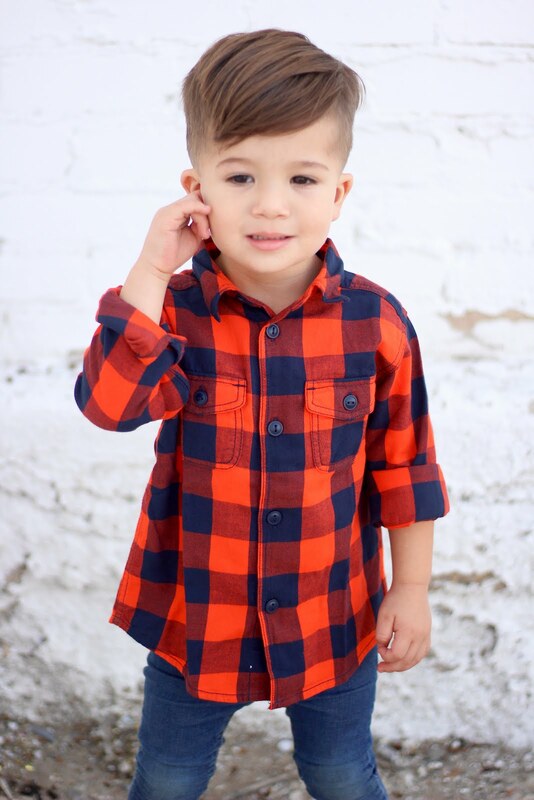 Is there anything cuter than a little boy in plaid?! 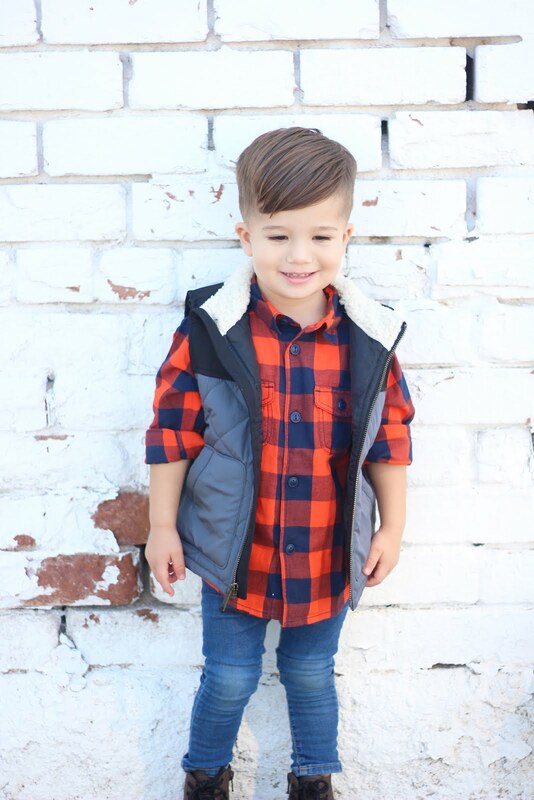 All the pieces Hudson is wearing a so versatile. 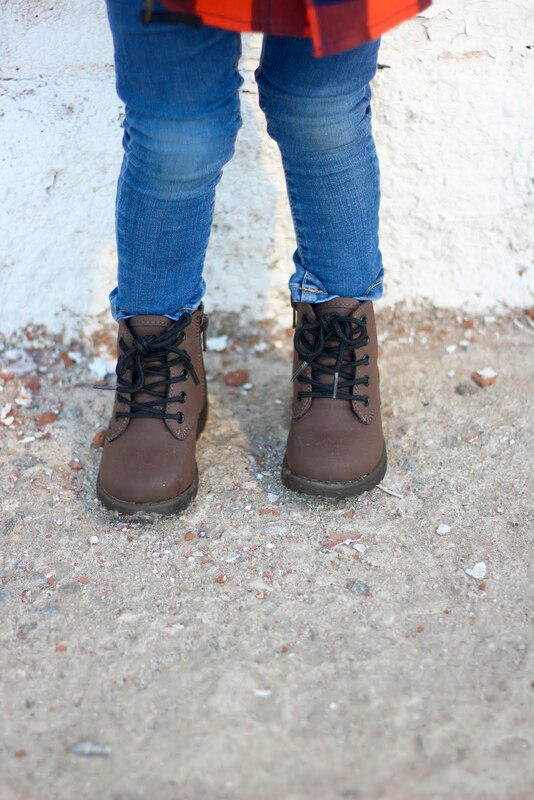 The boots speak for themselves and are a must for the Fall and Winter seasons. Plus, the brown color goes with anything. 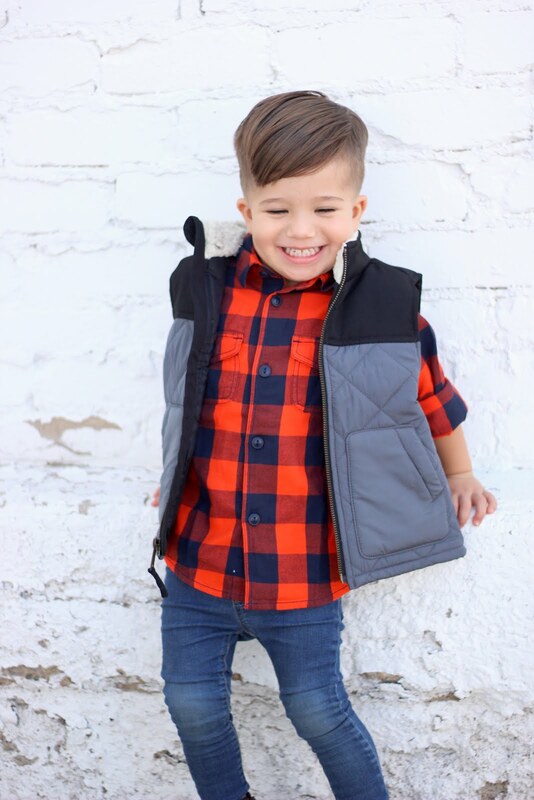 His plaid shirt can be worn buttoned up or you can even put a white or black shirt underneath and leave it unbuttoned. 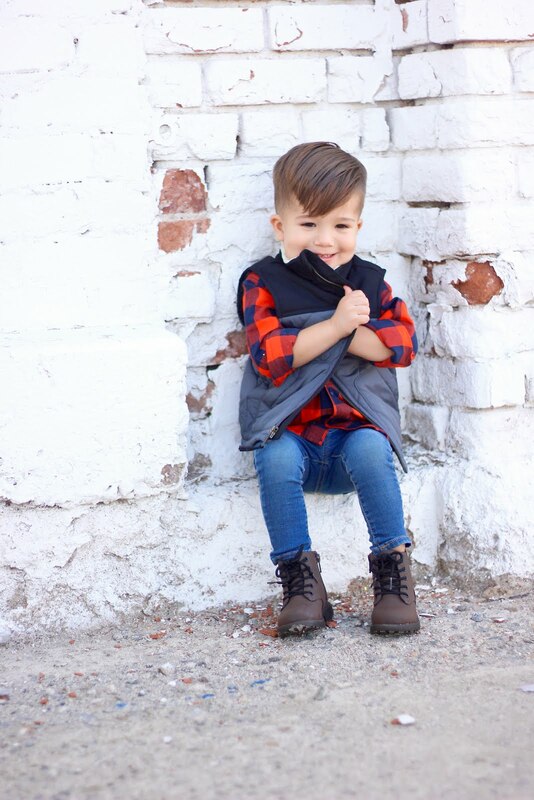 And same goes with the vest- it can easily be thrown over a tee too. 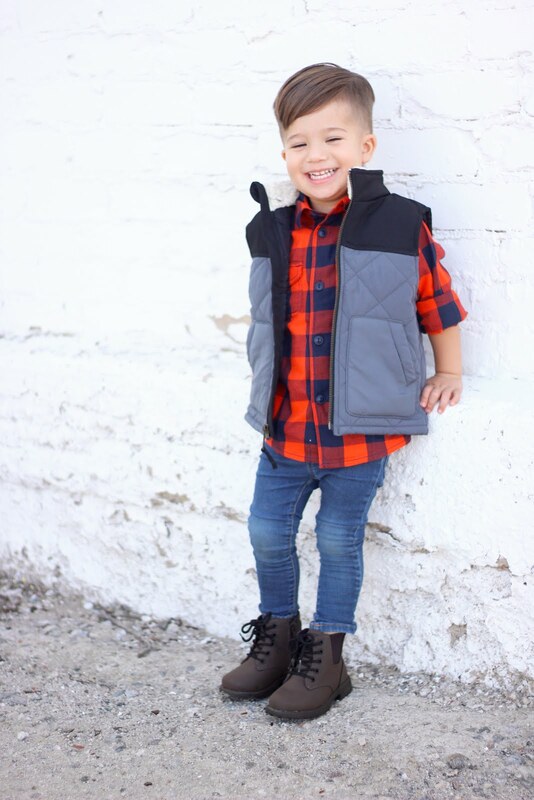 When you sign up for an account, you’ll take a short style IQ quiz about your kids, asking about his/her age, size, and style preferences. 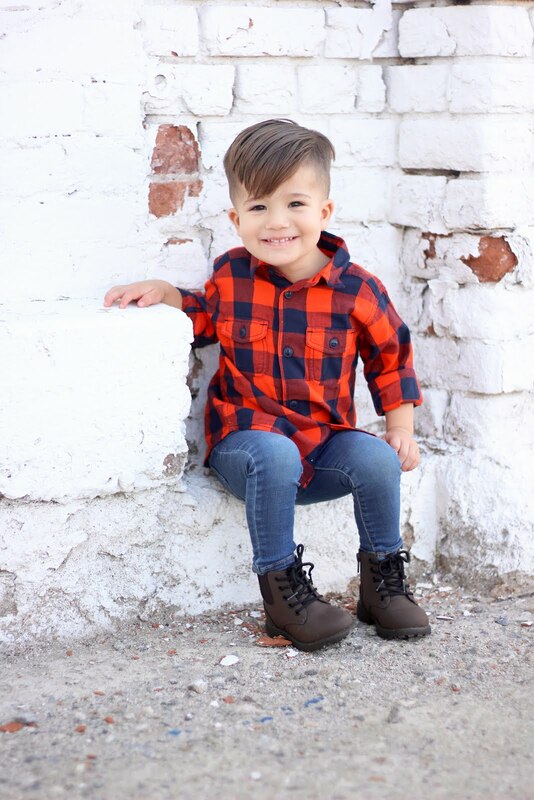 When you are logged in and browsing, Boomdash will filter your shopping experience based on this info (only see styles and sizes that your kid would like). HOW AMAZING IS THAT!! Saving us mommies extra time for the important things. Boomdash is giving away on lucky follower of mine a $100 shop credit to their site! Head over to my Instagram page to enter. It takes less than 1 min. The givaway will run for 48 hours and winner will be announced September 22nd.